If you haven’t come across Paul Oz’s work already, now’s the time. The explosive artist is well known up and down the Formula 1 paddock for his incredible artwork. Endorsed by the likes of Jenson Button and Lewis Hamilton, it’s fair to say that Oz is F1’s artist of choice. Come Abu Dhabi, if you win the championship you’ll be presented with the famous ‘Pink Jenson’ print by Paul Oz, a modern classic of a piece with the original adorning the walls of Jenson and Jessica’s home, yes, really. 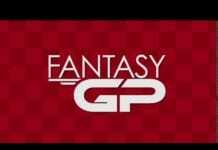 To learn more about Fantasy Grand Prix, read the Players Guide and the FAQ, or head over here to Fantasy GP to register and create your team. In order to join the Paul Oz league, you’ll need the passcode, which Paul will be announcing on his Facebook and Twitter on Monday Feb 16th – so follow/like him to get involved. 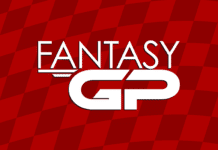 You must be in the championship by the start of qualifying for Melbourne to be in with a chance of winning this awesome prize, game on! Good luck and a massive thanks to Paul for offering up such an awesome prize, good lad. Follow Paul on Twitter, Like him on Facebook and check out his website/gallery here.